Cynthia Porter is an experienced healthcare technology executive with extensive knowledge in all sectors of the health care market – including payers, providers and suppliers. Ms. Porter has a proven track record for successfully advising clients on marketing and sales strategies including product positioning, lead generation, customer satisfaction and competitive intelligence. 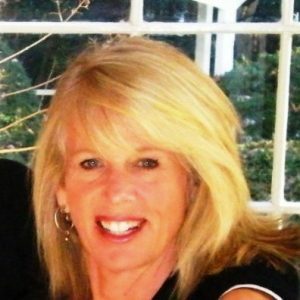 In her role at Porter, she brings over 30 years of professional and managerial expertise in healthcare IT including executive management, direct sales, business and strategy initiatives, contract development and negotiation, project implementation, customer service, and marketing and sales team management. Ms. Porter is a frequent speaker at HIMSS, HFMA and other national sales and user meetings. In her career prior to Porter Research, Ms. Porter held top sales and marketing positions at Medaphis and HBOC (both now McKesson). In these management roles, she successfully developed business partnerships with Top 100 healthcare IT companies utilizing a consultative, solution-focused sales approach. Ms. Porter gained early healthcare industry experience with stints at Xerox Medical and Abbott Laboratories selling diagnostic imaging systems and medical devices to hospitals and clinics. Ms. Porter received her bachelor of science degree in medical technology and chemistry from Arizona State University, and earned her MBA in finance and marketing from Golden Gate University.